Unique opportunity for to reach the 1.9 million annual riders at the Wilson station, as well as the residents and visitors of the dynamic Uptown neighborhood. CTA is seeking a partner with the business experience and financial capacity to develop and operate the Gerber Building space, as well as a concept that complements the Uptown neighborhood and the investment that CTA is making in the Wilson station. CTA will consider a Master Lease Agreement for an initial term up to 20 years. 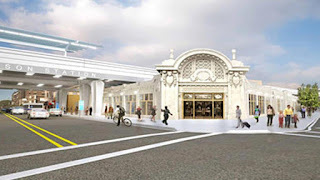 Gerber building will have new roof and open floor plan after CTA renovation. Space availability is anticipated in January 2018.